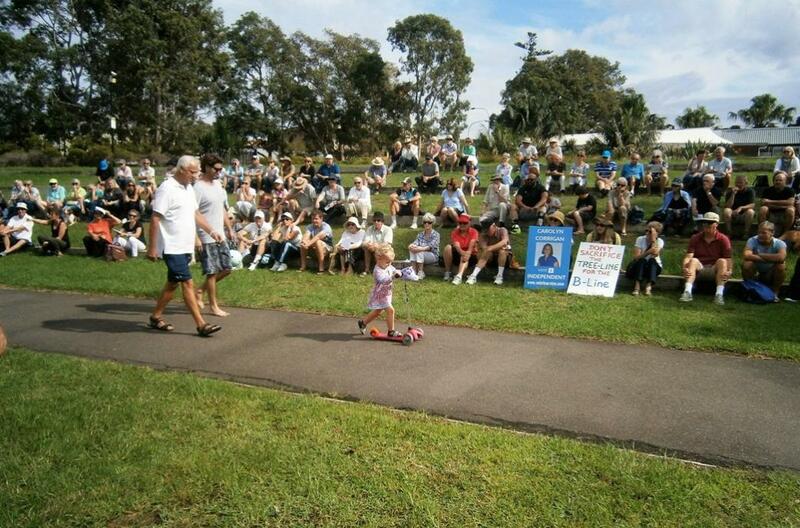 Protest Rally at Mona Vale Village Park, Saturday March 25th - photo by Mark Horton. On Wednesday March 22nd and again on Saturday March 25th residents gathered in the Village Park at Mona Vale to demonstrate against the encroachment of the B-Line bus service and new bus bay on what many consider the village green of Mona Vale, along with the removal of trees, at Mona Vale's Village Park. As run in Issue 300, B-Line Proposal For Mona Vale Approved - 26 trees are to be lost and it is a requirement that the Offset for these will be 118 trees planted 'on or near the impacted site'. 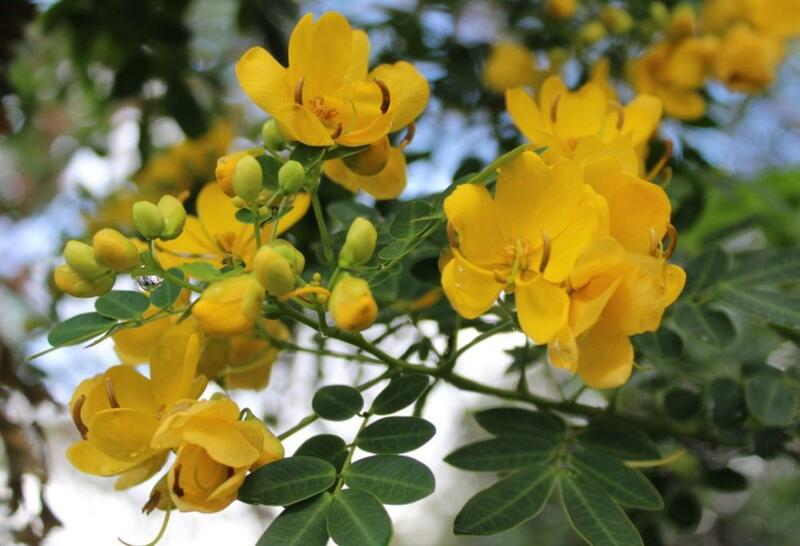 As part of the approval given in February the documents state that "The use of advanced plantings would be considered. " - In the film, 'To B-Line Or Not To B-Line? 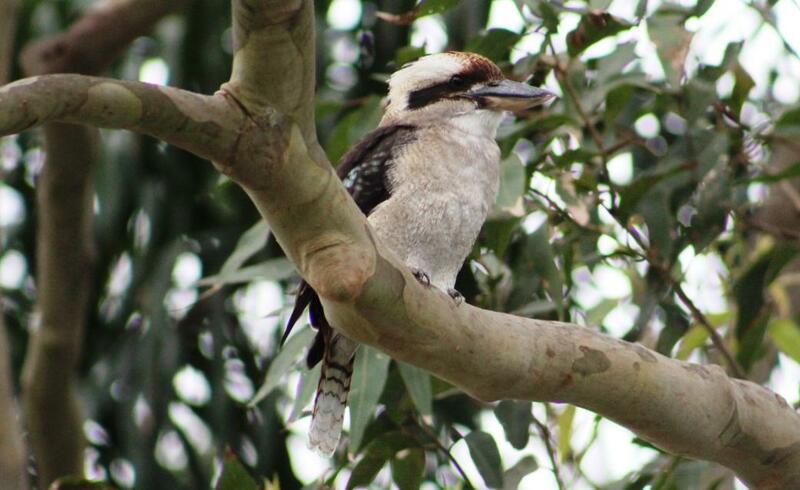 PART 2 Of 3' one consultant meeting with members of the Save Mona Vale community group states mature trees will be replanted. 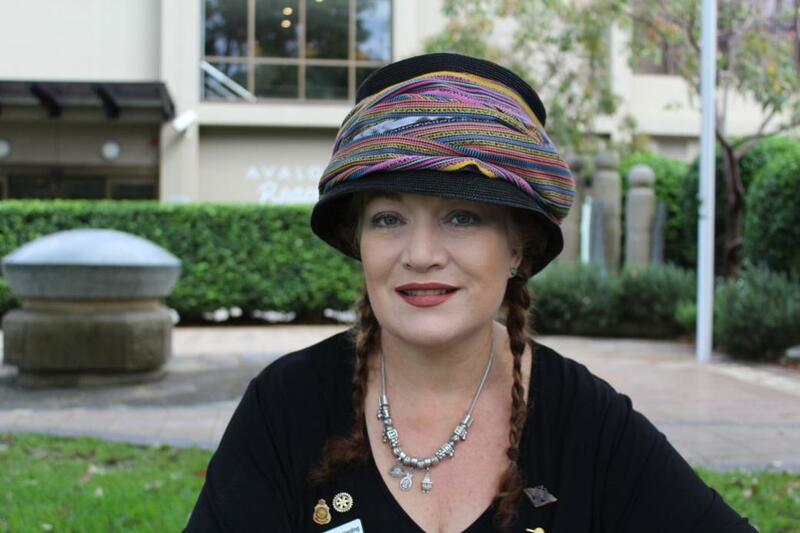 Tamara Sloper Harding OAM at Avalon Beach RSL sub-Branch this week - A J Guesdon pic. 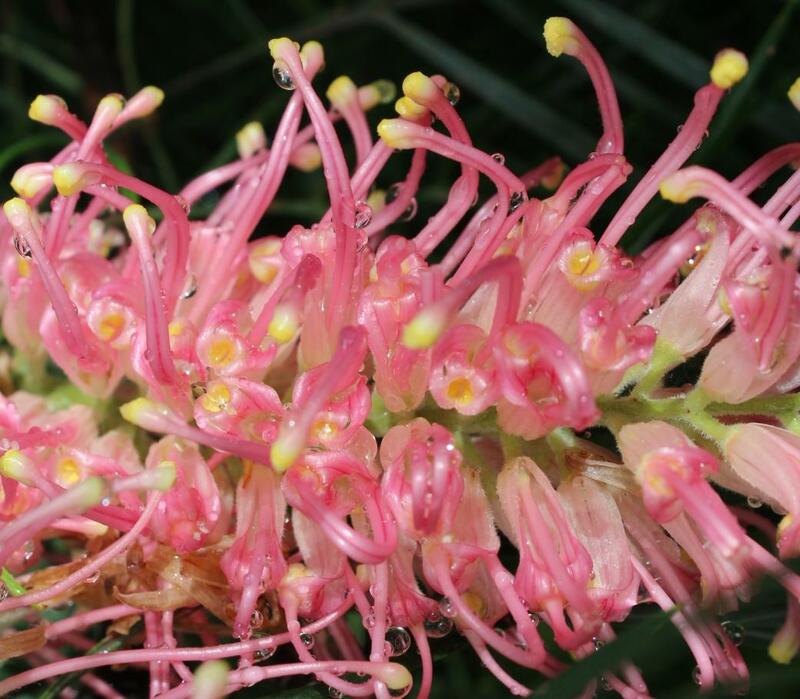 Pittwater Friends of Soibada is a diverse group of individuals who are committed to forging a lasting friendship between communities on Sydney's Northern Beaches and those in the Central Timor Leste province of Soibada. Their key objective is to support the local people in their efforts to achieve sustainable development in their region. All the projects are initiated by the people of Soibada themselves. This year the focus is on building a Senior High School for students, plans for this being finalised in a July 2017 trip by the volunteers led by Chairperson of Pittwater Friends of Soibada, Tamara Sloper Harding OAM. This week we caught up with Tamara to get an overview of PFoS plans for 2017. 'Tardis' Street Library. Photo supplied. 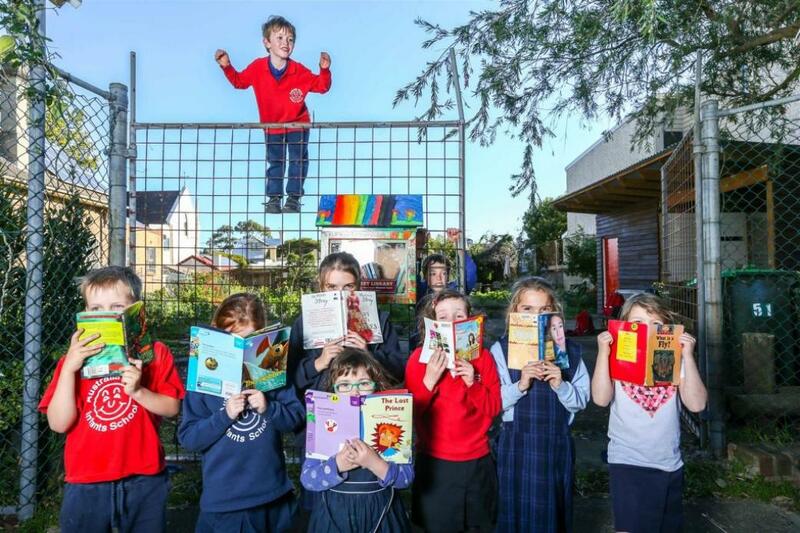 There is a new, free street library in Patrick St, Avalon (between Joseph and William streets) - a street library is a free community resource installed by volunteers to foster both literacy and neighbourhood. Gail Broady built this one from an old cabinet reclaimed from Kimbriki, the base of an old chair, perspex from an uncle's shed, and timber from her Dad's garage. “We call this one the Tardis because every book is a time machine and there's a world of worlds inside every library. We have stocked it with books for little kids and big people.” Gail said this week. Gail would like to build and place another Street Library where residents may not readily have access to books. 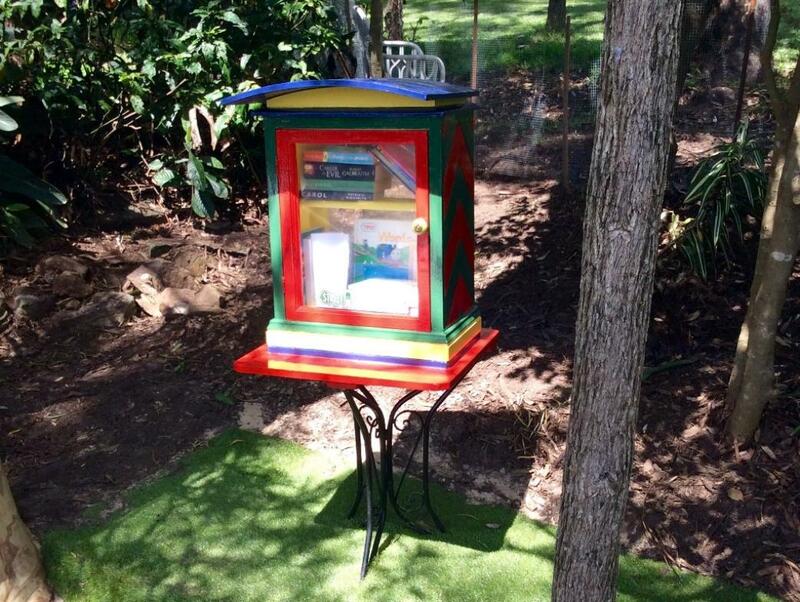 The Tardis Street Library is number 201 of these great ways to share and access the wonderful world inside books. Tutle Land Community Garden Street Library. Photo supplied. 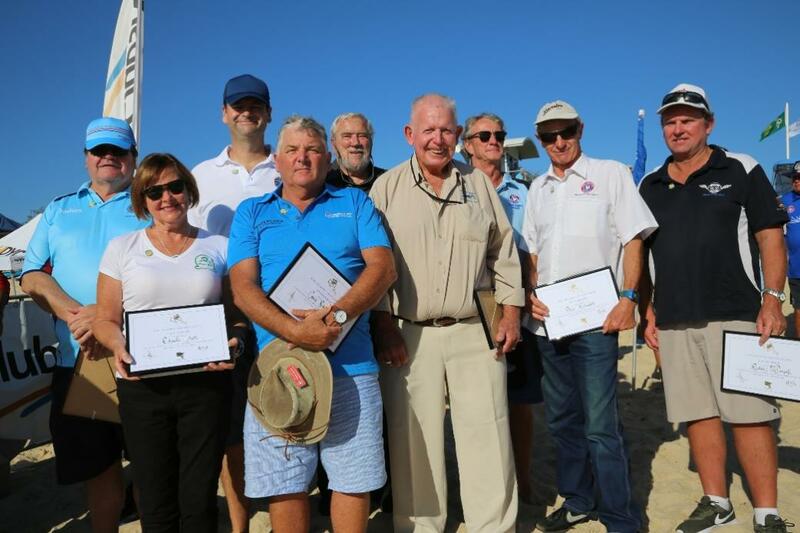 The new Life Members were honoured guests at the 2017 NSW Surf Life Saving Championships at Blacksmiths Beach. Garry Andrew (Dee Why SLSC and Copacabana SLSC) Terry Aldridge (North Curl Curl SLSC and Black Head SLSC) John DeCean (Bondi SBLSC and Wanda SLSC) Peter Kirkwood (Maroubra SLSC and Cape Hawke SLSC) Peter Agnew ESM (North Bondi SLSC) Rhonda Lycett (Mona Vale SLSC) Rod McDonagh (South West Rocks SLSC) Craig Susans (Queenscliff SLSC) and Alistair Peebles (Avoca Beach SLSC/Woolgoolga SLSC). This group of nine members have dedicated a combined 400 years to Surf Life Saving and have been involved at Club, Branch, State, National and even on the International stage. They have been presidents, competitors, trainers, assessors, officials and of course patrolling surf lifesavers. 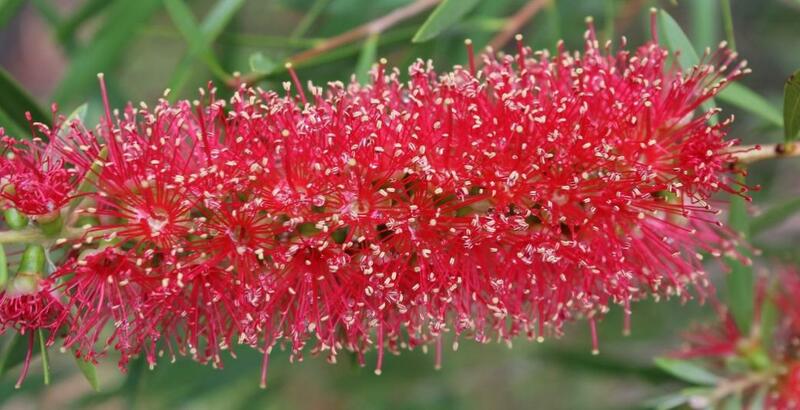 This weed replaces native vegetation and establishes in a wide range of native plant communities, including coastal heath and scrubland, hinddunes and riparian corridors. The large seed pods are eaten by birds and other animals.